We've seen a lot recently about Captain Fantastic and it's big four O. No need to expand on that here, though a couple of years ago I did this piece looking at it in general terms. What I will say it is one of, if not, the best album of all time by any artist. Not a biased view, just an accurate one. However it's initial release and all the paraphernalia surrounding it at the time was overshadowed by the propagation of an urban myth by Elton himself. The Mid Summer Music at Wembley has long since gone down as the being the biggest mass movement of humanity since the Red Sea parted and Israelite's followed by Egyptians all marched en bloc through the parted ways. The exodus being out of the stadium as the whole album was played live. Elton gave an interview to Rolling Stone the following August in which he mentioned that incident which since became gospel. Here's the truth in the word; ask anyone who was at it (I have) and they'll tell you no such slow stampede occurred. Elton could have sat their for a week reading the Radio Times and nobody would have moved. So that myth has been expunged from the records. Which lead into the purpose of this update. 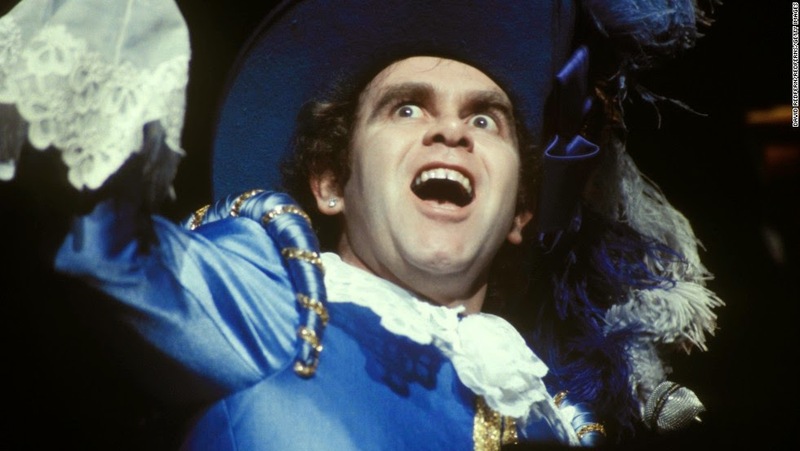 I'm going to look at three separate shows over 30 years froma round the world in different towns. All of which had special Captain moments in them. Some odd, some off the wall spectacular. We all know the story before the release of the album. I'm not going to rehash it, as far as I'm concerned sacking Nigel and Dee was stupid with a hint of slight musical barbarity. To do so when Elton was about to play to his biggest audience to showcase the album they helped to create was cruel and ultimately counterproductive. Because they eventually came back in triumph (which we'll see later). If that wasn't enough heaped upon that monumental error of judgment was the resulting replacing of them by inferior musicians. Two wrongs made a greater wrong. Hindered by a grossly inferior rhythm section how would Elton cope on the night?! 70's live rock piano is an oddly sounding beast. Low in the mix without any cut or thrust in terms of range. The original album has loud bright piano so you don't hear it live. What do we get to hear is James Newton Howard right from the start on electric piano. 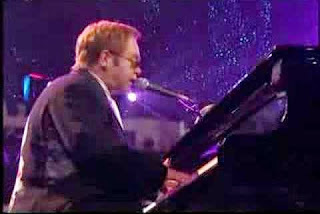 I've said this before but his interplaying on that instrument with Elton on acoustic piano is like a wondeful world that was never developed as much as it should. It's terrific! Jeff 'Skunk' Baxter on the pedal steel with his influx of contrasting melodies throughout sets a classy tone that isn't maintained. The awful fakery of the country style intro with it's twee drumming at the wrong end of that spectrum. The opening piano lines should have had but of course don't have the dancelike basslines. Kenny Passarelli absent (as he usually was throughout) without leave. Like I said earlier the heavy basslines of the recorded piano is missing here, a vital and key element of the introduction. The bass guitar is heavy without saying anything constructive, the dual heavy hands of Roger Pope and Ray Cooper on drums trying their damnest to get Nigel's studio sound to the crowds ears. Davey Johnstone's solo at the end is aided by late arriving licks from Caleb Quaye, the two guitarists worked well throughout. Caleb gives Davey all his lead lines without too much interference. The outro is a stunning mix of rasp and jangle, James introducing a string synth part that harmonises with the raging guitars. A frantic chorus, the backing vocals of the Pillars are sorely missed here. Though that gaping wound will become infected later on. A decent version here otherwise. 'Skunk' on the pedal steel adds a critical element here, a sidebar sound to fill in where the strings are absent. Filling in that vacant space is James again on electric piano. Through Roger on the hi-hat adds his trademark overuse of that particular type of steelwork. The chorus vocal phrasing is slightly altered here, the melody seems to descend at a steeper rate than on disc. Davey and Caleb thrust and pull with some tasty licks, the outro like a conference between them and Skunk on pedal steel. Distinctive voices having their say with Davey having the last word. Big Elton moments are always the best moments. Magic in delivery. However for this big one, big one's are missing. No slow drumming right from the off. Nigel tapping his ride cymbal lightly with gentle hi-hat as much a trademark as Elton hammering the riff out, though it's slower here than we've become accustomed to. It's absence is felt, heartfelt as much as Dee's bassline non appearance. The pedal steel is a curio here, appearing unexpectedly. As much as surprise as the electric guitars coming in slightly ahead of time. If the elements I mentioned earlier are lost treasures, then the lost backing vocals are almost a criminal act. Lazily arranged, amateurishly executed with the multiple 'sugar bears' all melting into something that is not caramel. Ray on extra drums again trying to replicate in a desperate strive with Roger Nigel's cracking smacking of the skin's. The bridge when the synth strings are introduced are slightly mixed down (not for the first time). If ever the three guitarists had a moment to shine it was here. James’s nutty flavoured clavinet as zany as the three axes chopping their way through the Wembley air. The mixing down of James' synth lines occurs at the wrong time here again, as the solo comes into full view he appears from behind the twin towers to sit neatly on top of it. Definitely one of the highlights of the night...until the outro kicks in. And kicks. And kicks till it has no more legs left in it. Too long, but would get longer. This version is fairly rudimentary here, sticks closely to the original as best they can. First thing to notice here is how bright and chipper the piano is. Now we hear the melodious line with a truer accuracy. Another truth is Dee's dancing bassline at the start, the previous live editions had those vital pages missing. A manly swagger to them with class oozing out of them. Light guitar strokes are careful nods by Davey, as is Nigel holding back on the drums. Less is more and when he comes in they mean something. A lot in fact. More pronounced and eloquent, his restraint of the hi-hat for instance a perfect example. The guitar riff on the chorus is subtler and distinct, it wraps itself around the piano and goes as one unit. The outro is bluesy and nostalgic, like a fine old age brandy being poured slowly. A tighter bind on this one, energy channeled into a more efficient machine. Elton’s more mature vocal catches the lyric sentiment and delivery of its snarling attitude is pitched at the perfect angle. Meatier drumming (Nigel can rock, sorry to those who don't think so) the bass is aggressive with that touch of panache only Dee can throw into the same swathe. Piano is booming here, the solo is zany and the outro is clear, clean and is like a donkey’s trot. Short and very sweet! Now we're talking...listen to Nigel come in straight away as Elton begins his eulogic statements on the piano. You’ve heard it without and with...only one choice here! As essential a part as a bind in a book. And what a better bind to have than Dee on bass, full of strong lines keeping it all in tow. The backing vocals are accurate and authentic, unlike earlier attempts. The harmonies are carefully placed and positioned, all the sugar bears appear on time. Elton’s piano playing has a broader sense of expression, the narrower band sound of this lineup sending it on a concise journey. Davey's guitar appears like a a wave to Nigel to introduce his big fills on the bridge, they’re not frenetic or frantic. Just carefully expressed. Just like his ruffle on the hi-hat to begin the outro, the guitar solo from Davey is rakish; he barges and squares off with Elton's piano whilst all the time Dee is till bookbinding underneath. A brisk intro, full of deeper lines with more character and charm. The rhythm guitar equally effervescent, the rhythm section kicks in, seizes the melody and snares it for keeps. The backing vocals are incredible here, 4 people sound like the 40,000 snacking on loaves and fishes. Perfectly executed (and why not, they created them in the first place) they each sound bright as buttons. What we end up here was a minimalist showcase of a very full album. The '82 tour 'rock edge' polished and brassy handled the songs with care. As it could (and should) have been seven years earlier. Dee's bass lines tell a story throughout, always present and correct with something wise and essential to say. Not merely a wallflower as in the previous example, faded or otherwise. One word to describe the entire latter day performance; sublime. Elton giving us that rarely used sound of the Yamaha, the electric element. Underpinned by Bob's punchy tight style on bass, his precise diction leads to no misinterpretation of the facts. 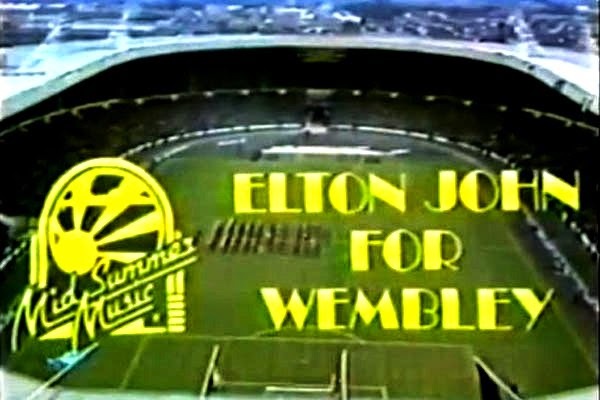 Elton's vocal is tempered with a greater degree of worldly experience, a crucial key to his vocal delivery on the night. Davey on a unique double neck, especially made for the night. The light colour of the mandolin on the verses a jovial affair whilst the right side of caustic on the introduction of the electric 12 string giving lyrically enhancement every time being the right time. Nigel has his fills and breaks with bite, the same sharp snap of the jawbone from John. Guy, not for the last time on the night, inflects his own influence with a typically classy embellishment. A slightly wistful, greatly hopeful synth line. The outro is indeed like that ride off into the sunset. The less frantic, more finesse, tactic works here. Davey and Guy combine forces throughout the measured chorus, it's steadiness says more than somebody running at you. If you ever needed an example of why Guy Babylon helped shape Elton's live repertoire in the late 20th/early 21st century then listen forthwith. His combination of the strings, accurately deployed, and clavinet is incredible. Two separate keyboard lines that weave in and out giving it that proper degree of authenticity. His dexterity switching back and forth to deliver such a variable myriad of sound collages is amazing. But it doesn't end there, he gives us that broad horn sound on the chorus. We were spoiled back in the day. Davey's guitar can appear in your face with its licks almost touching your own! The big Elton moment, now we've arrived. A gargantuan piano sound backed by Nigel's cymbal chorus, Guy giving a master class in harmonious electric piano. He gives a liquidy impression of the original example. The backing vocals are a terrific soundscape, the Atlanta Voice Choir step up to the mark here. As they did all night. The song is seamless in its movements, the transitions from chorus to verses never drops off in pace. The Lesley guitar sound a la the original encapsulates why having the original lines and sounds is needed at all times where possible. Bob’s bassline drops a heavy note near the end, the solo a beacon of hope. Every time it comes around that conformation is built upon. The clavinet shadowing the piano is a joy here, at a slightly slower pace than the two previous examples. Which gives it time to think and navigate it's way to Davey's no nonsense solo. Elton's vocal has some unexpected, surprising and of course welcome rephrasing. The backing vocals here are a choralastic heaven. True and very faithful to the original, triangle included. Everything is perfect here from start to finish. The best till last...not only on the night...but in this reprise. 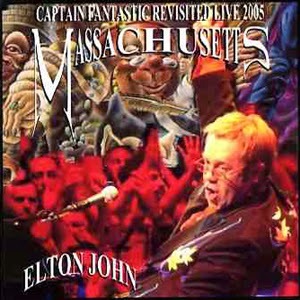 Listen to Elton's vocal at the start, the pauses and intakes are timed exquisitely for maximum effect. Flute Mellotron by Guy conjures up an aura of times past, hard to pinpoint when and where exactly but still full of clarity. The guitar rises up and Davey gives us one of rocks all time great solo's, another biased but true opinion. But we're being spoiled rotten now as Guy infects some harpsichord into the mix. Nigel and Bob steady themselves; they're already ticking along with metronomic precision, something which will be maintained till the end. Curtains culminates the set. Davey's classy choice of putting an acoustic guitar to gather the momentum and energy before it all kicks off again. Tension simmers, the dynamo that is Elton is generating the energy needed to see out the final curtain call. When the rhythm section kicks in and dive bombs from Davey on the electric guitar fall from an unimaginable height it's a friendly blitzkrieg. Lum de lumming outwards, piano ripples are underscored by a deep filtered synth vocal by Guy, like an unseen character in the wings. No need for speed like thirty years earlier, the journey is a joy and the view is fantastic. To say that a lot of work went into this showcase would be like saying there's a few bricks in the Great Wall of China. True but only a percentage of the actual story. The preparation and attention to detail is immense, Guy Babylon stand up and bow where ever you are now. His insistence on using the correct sounds and programming, Mellotron and harpsichord for instance, makes the whole thing pay off with massive interest. Tell Me When is a first rate example of this, a multi instrumentalist playing multi tracks live. Davey's excellent instrument choices (mandolin, acoustic guitar) offer us the proper rustic sound we craved earlier. Nigel yet again balances power with the intricate precision work that he weaves and waves. Adam Chester’s work in taking a vocal ensemble new to Elton's material and intertwining them with the bands experienced choral styles ends up being bang on the money also. Harmony parts, solo sections and individually separate lines are all dealt with equal attention. 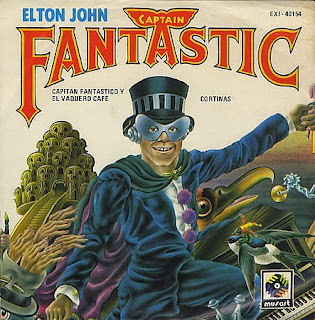 Elton's vocal, as only passing time can, gained that worldly experienced deep rooted feel especially as the lyrics are genuinely harping back to times gone. But not to be forgotten nor looked upon with sadness. Excellent. Paul, your writing style and vast knowledge drew me in, then captivated me. Watching inserted videos had me re-living the years. Thankyou for such an enjoyable article.